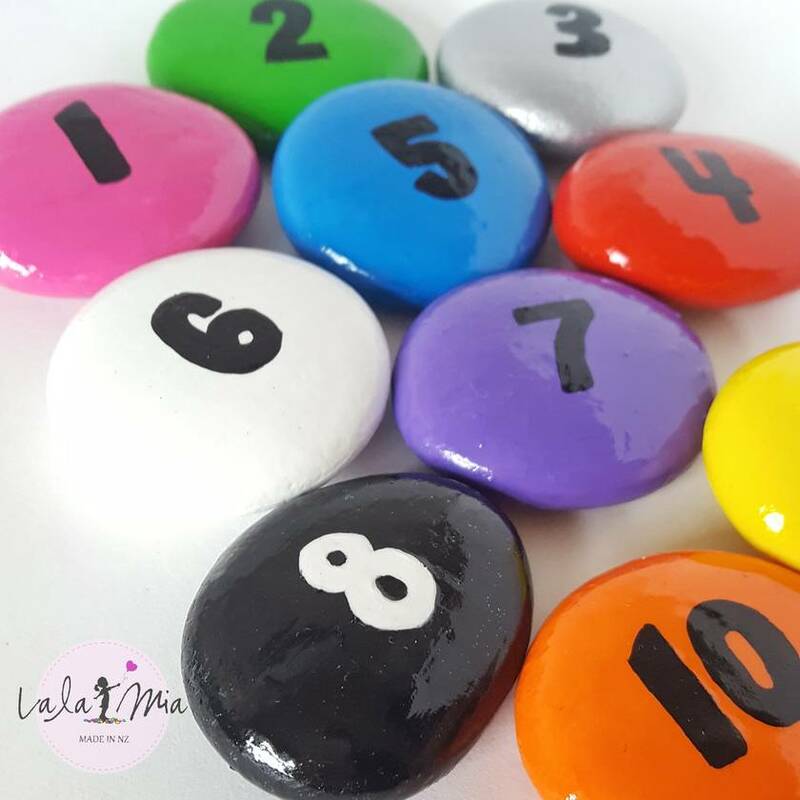 Number stones are a great tool for learning about numbers, how to count and colour practise. 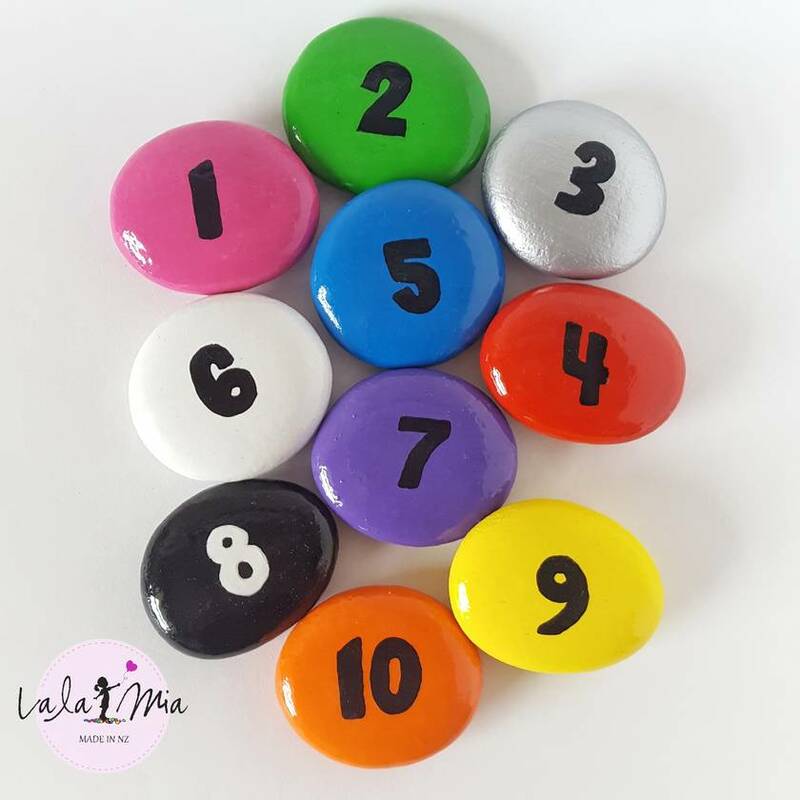 Set includes numbers 1-10 with dots on the other side of the stone to correspond with the number. 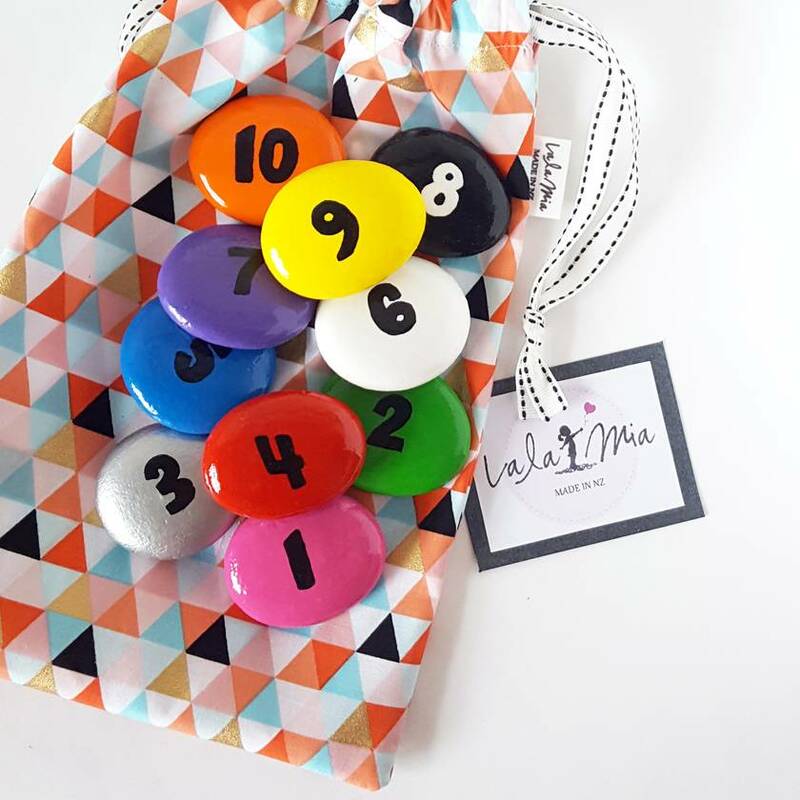 Fully customisable with your choice font and colours. 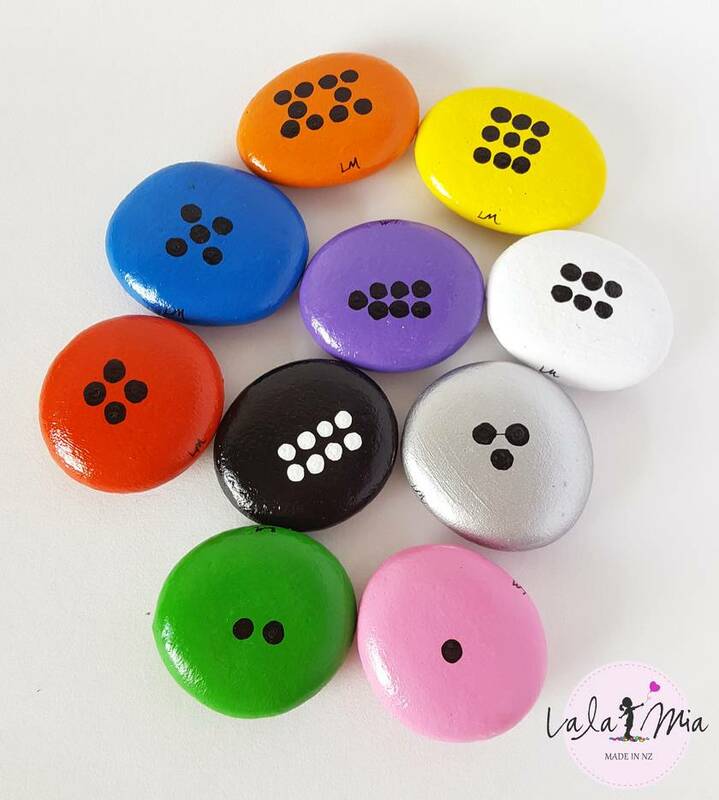 Please put your choices or any custom requests in the comments when making payment, or leave blank if you are happy to receive the most popular selections.